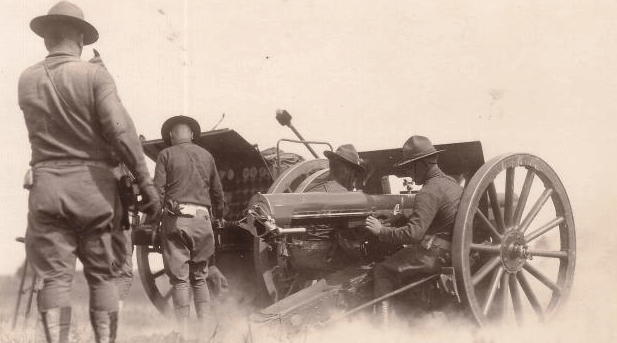 After World War One, U.S. 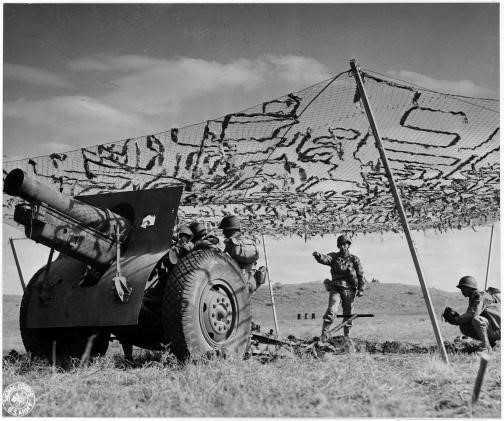 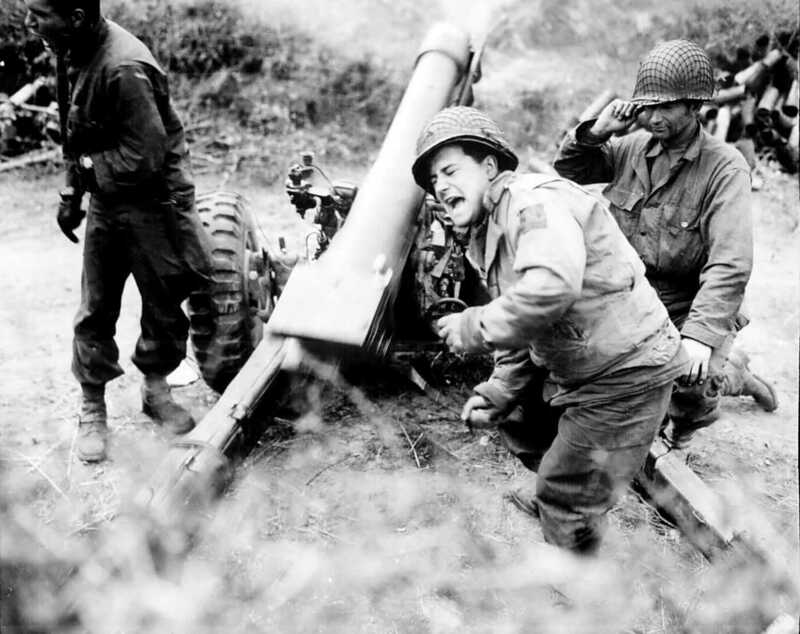 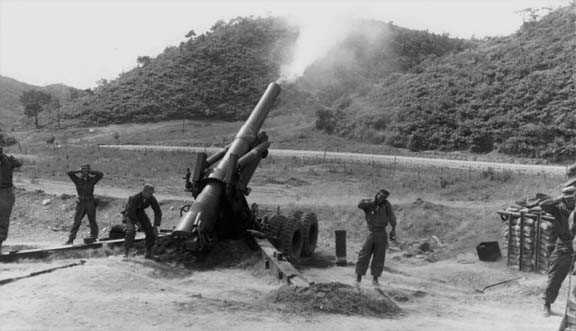 Artillery was mainly made up of ex-French weapons, but during the 1920s and 1930s, a gradual re-build started to take place resulting in new U.S. designed pieces being developed, such as the M2 105mm Howitzer and later the heavier M1 155mm howitzer and M1 155mm gun. 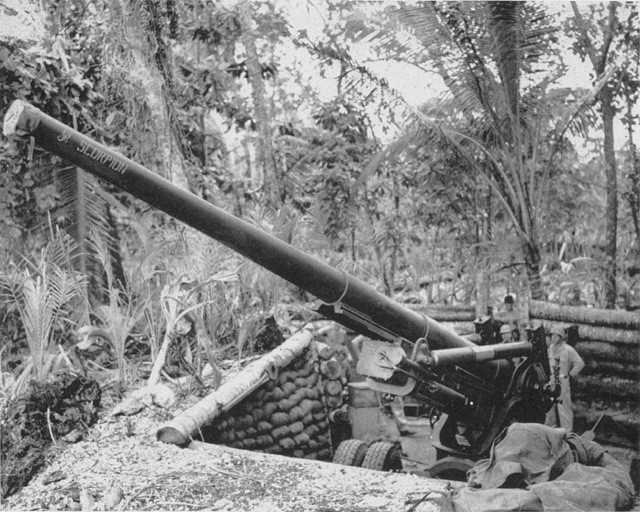 Two larger weapons in the forms of the M1 8-Inch Howitzer and M1 8-Inch Gun and the super heavy M1 240mm Howitzer followed. 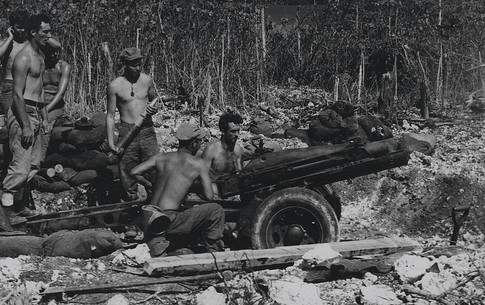 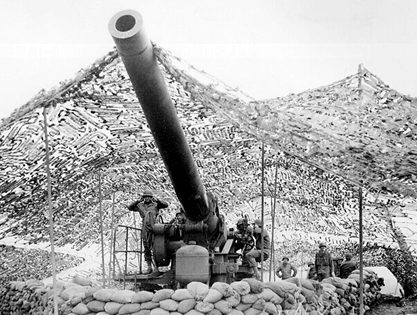 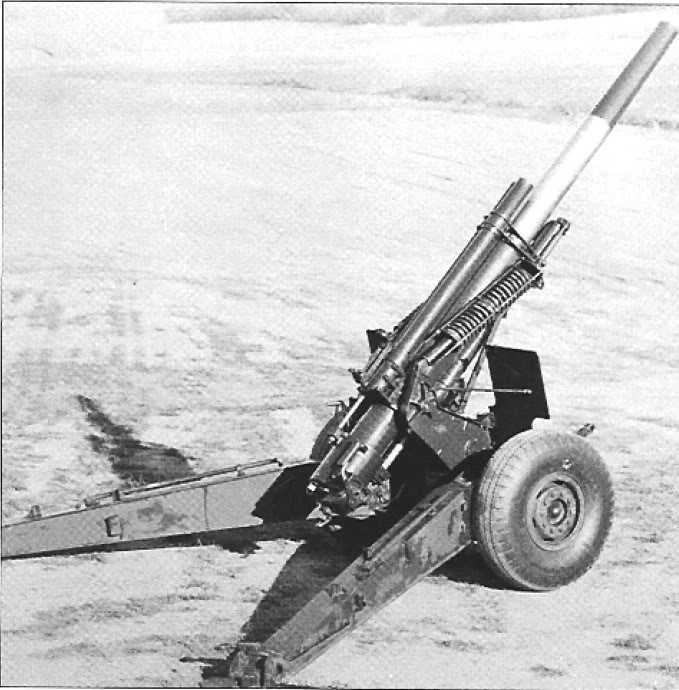 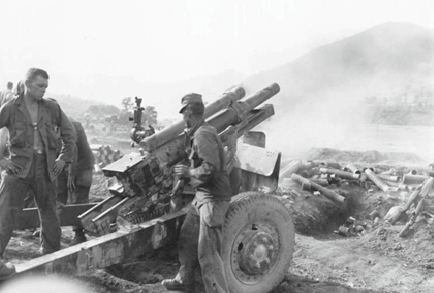 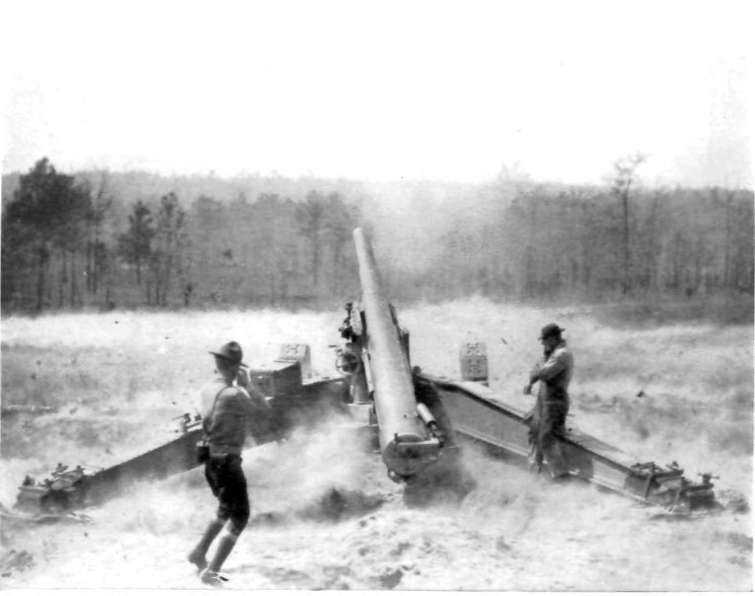 Lighter Howitzers were also developed for airborne use, resulting in the 75mm M1 and 105mm M3. 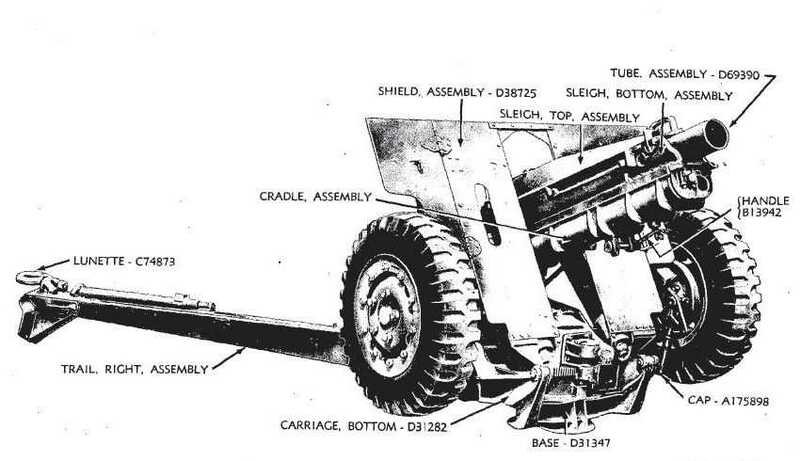 All these served alongside the old French designed weapons such as the 75mm M1897 Field Gun, 155mm M1918A3 Howitzer and 155mm M1917-18 Gun, but as the war progressed the old hardware was gradually phased out. 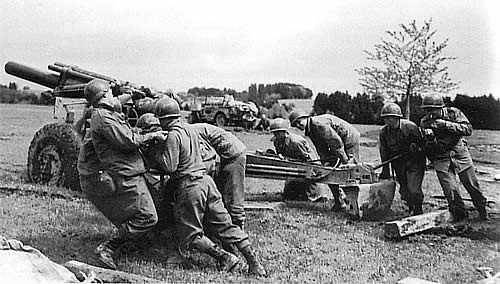 By the end of World War Two U.S. 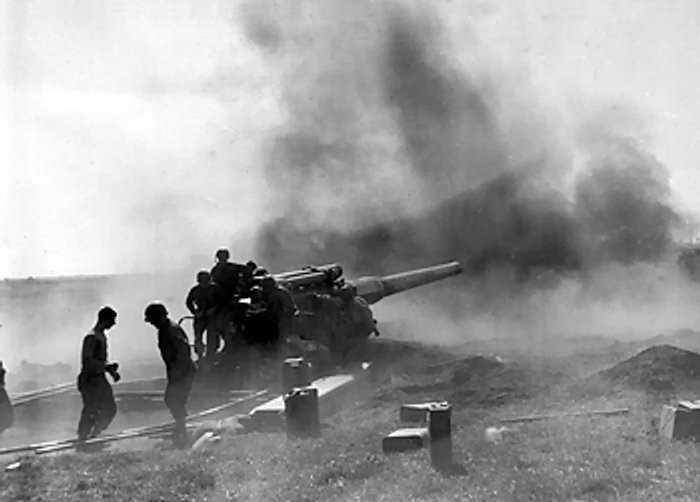 Artillery was among the best in the world, not only was every piece motorised, but also a large percentage was mounted on half-tracks and tanks to form various self-propelled guns and howitzers.